Adrena Adrena is a collaboration between visual artist Daisy Dickinson and drummer E-Da Kazuhisa, previously the drummer of the Japanese noise band Boredoms (WEA Japan, Reprise/Warner Brothers) and currently British electronic/post-rock band Seefeel (Rephlex, Warp Records). 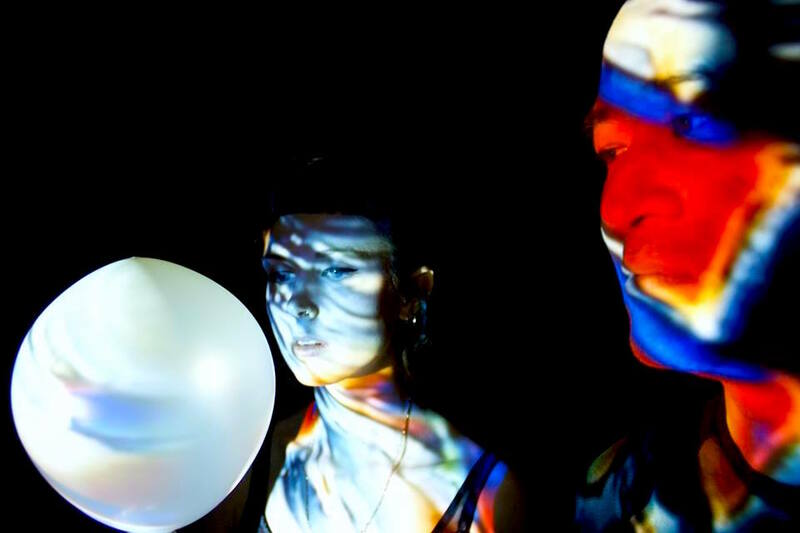 The duo cut a raw blend of drums, noise and organic visual work, featuring in their performances an eight foot white sphere that hangs above Kazuhisa’s drum kit and which Dickinson maps videos on to. Adrena Adrena’s first release for Champion Version is titled ‘Cybals/Toy’ with a limited pre-order window from 8th – 22th April. Over two sides we are immersed in the echoing glisten of Kazuhisa’s ceremonial practice, revealing a wonderful relationship between space, minimalism and texture. The A side establishes a determined trajectory, first demonstrating its vast parameters with bright harmonics that move supremely into a mix of pulsating and rolling percussion. The second side is focussed on the development of soft metallic pipe samples that are underpinned by slow and brooding drum loops creating a swirl of otherworldly atmospherics. In addition to the 7″, ‘Cybals/Toy’ comes with an accompanying book featuring striking photographs by Dickinson. The 28 page book is landscape orientation with final 21cm x 14.8cm dimensions printed onto 100% recycled, 115gsm white paper. Music and imagery to submerge.